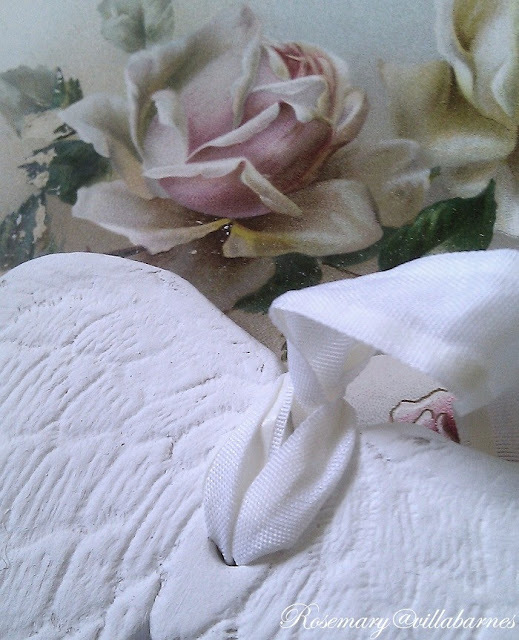 I've been making larger clay angel wing tags. Playing with different designs. Here is one of them. Look familiar? 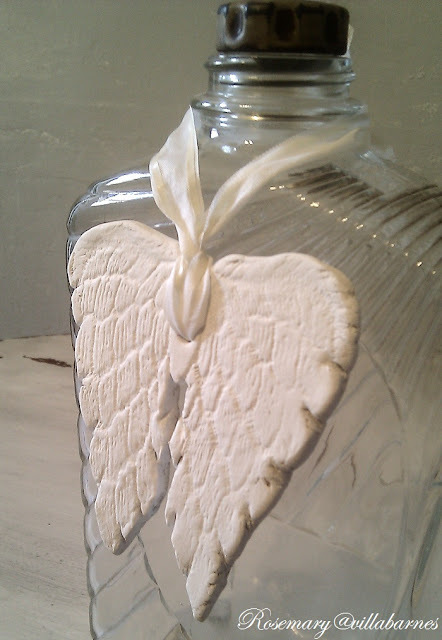 I copied the design of the image I used on my "Angel Wing Bottle". It took a lot of shaping, and molding. 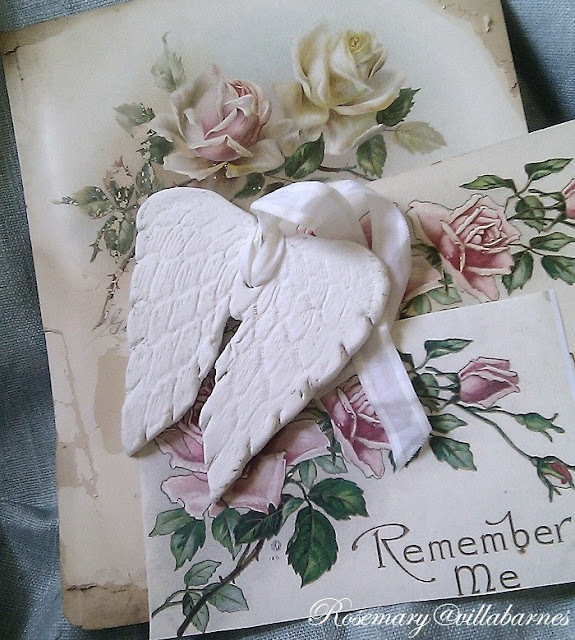 It's larger than my other "Angel Wing Tags". Gotta get back to work. I'm busy getting ready for my show at "Kane County" this weekend. See ya soon. Hi Rosemary, I love your wings - they are sweet. Hope you have a great weekend & sell lots of your beautiful creations. Another beautiful creation! Have a fun and prosperous weekend! I just love your wings Rosemary!! They are so beautiful! Ohhhh! These are sooo cute Rosemary, I love them. I love them! I like that you have the bigger and the smaller size to put on different size bottles. They would also be great on a Christmas tree! How pretty would these be tyed onto packages at Christmas. I am not seeing them in your Etsy shop? Both sizes are cute! They'd be great on Christmas packages. Beautiful!!! As always, I am so inspired by your talent & creativity!! Blessings! Those angel wings are just precious. They would be so pretty in so many places and have so many uses. 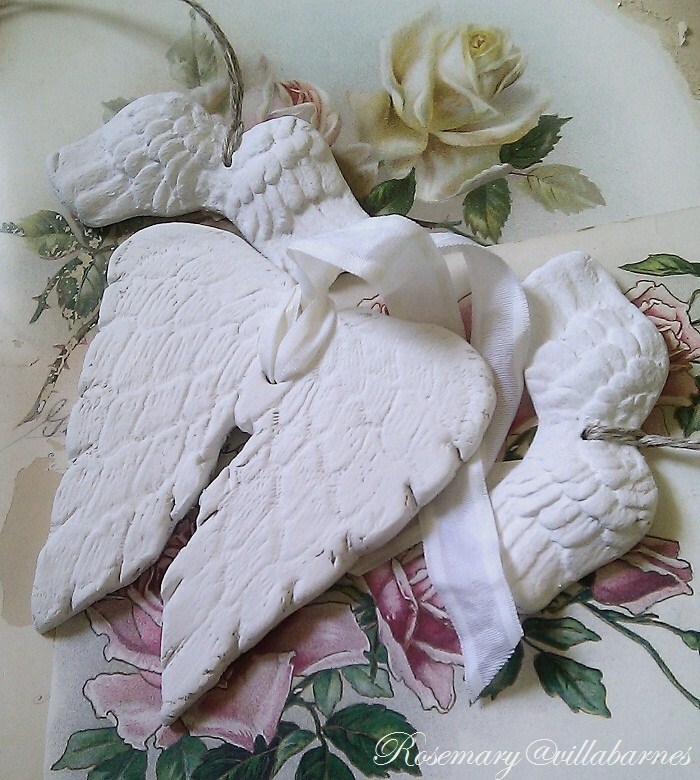 just love these, perfect for Christmas tree ornaments! I think those wings are gorgeous. So pretty!!! Angel wings are one of my favorite things!Have a great weekend! Those wings are beautiful Rosemary! Best of luck with your show. Oh wow! 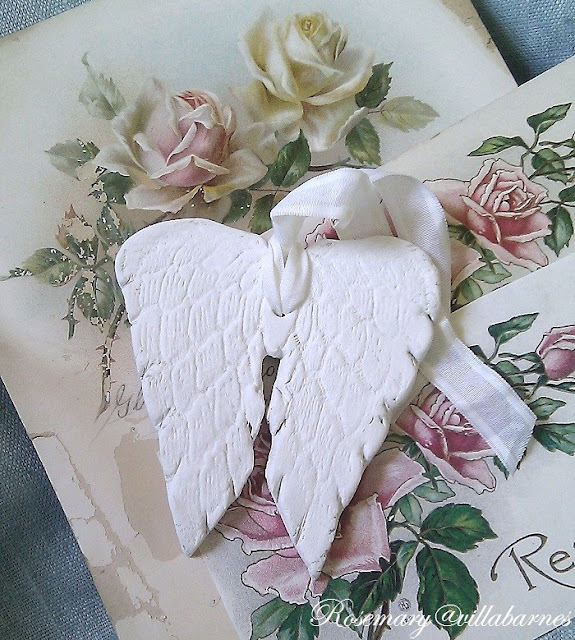 I love the angel wings!!! I think they are beautiful, Rosemary! your wings are so darling! They would make gorgeous Christmas decorations. Will you share the how-to? These are so pretty Rosemary and they're perfect way to dress up your bottles. Hope you have a wonderful time this weekend!! You are so talented. I love the wings. I bet you sell a lot. They are gorgeous! I love them! You are so talented. Indeed a nice post! I am also from the SEO background and love to enjoy reading fresh posts on this subject. I would like to thank you for writing this post and now I am your regular reader as I have subscribed your blog in my RSS reader. These are the sweetest things I've seen in awhile. I want some! 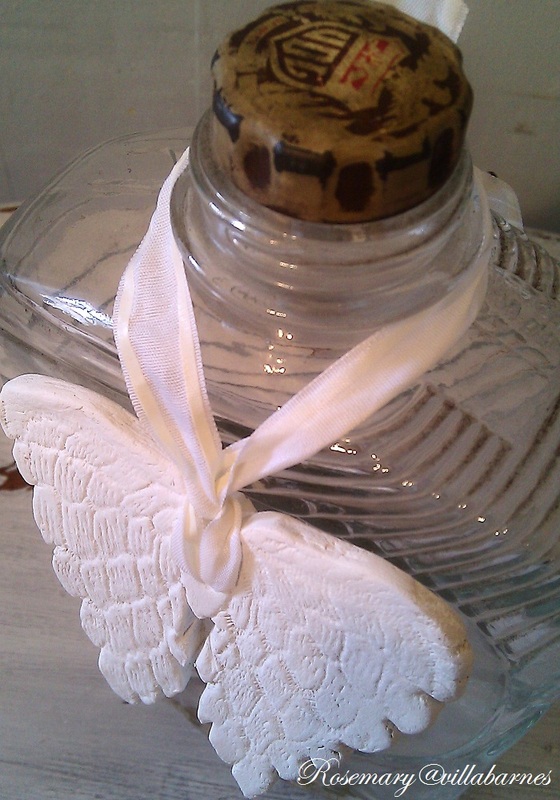 Your angel wings are very pretty, I especially like these and such a variety of uses for them. You are such a talented and clever gal! Beautiful creations!